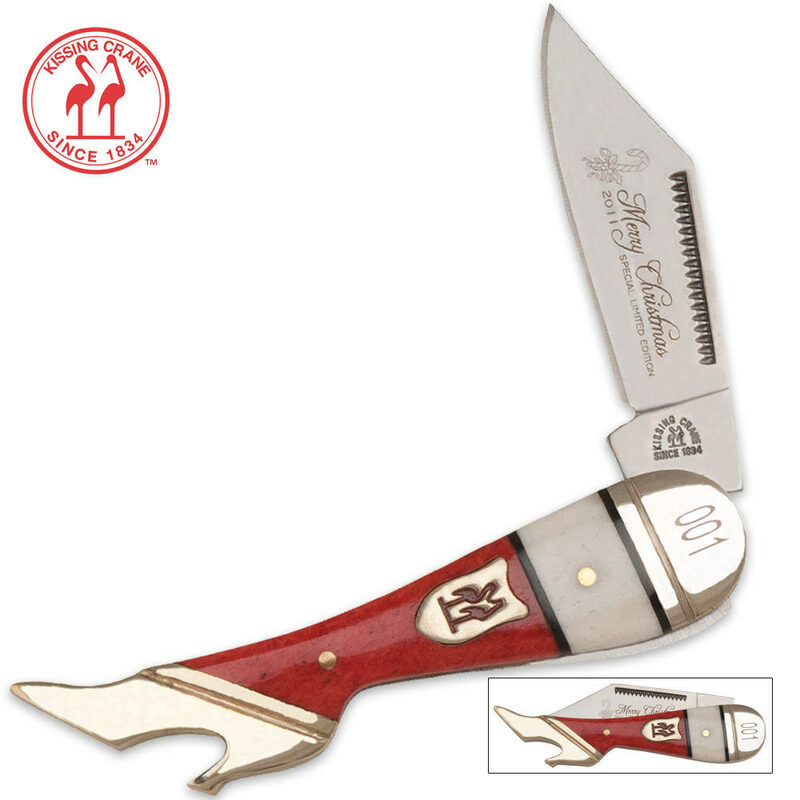 Kissing Crane 2011 Special Limited Edition Christmas Leg Knife | BUDK.com - Knives & Swords At The Lowest Prices! Merry Christmas from Kissing Crane® Cutlery! This Special Limited Edition 2011 Christmas leg knife is strictly limited to a minimal 300 production run. Each of these exquisite collectible knives features a red and white bone handle to mimic the ever-popular Christmas stocking. Brilliantly polished nickel silver bolsters and pins accent the razor sharp AUS-6 stainless steel blade that is laser etched with a Limited Edition 2011 Christmas etch. The heel of the boot also acts as a functional bottle opener to pop tops at all your Christmas parties.